» Forum » Restoration » Restoration questions » What's the best way to polish pinballs??? » What's the best way to polish pinballs??? What's the best way to polish pinballs??? After about a month, the balls I use become dull and lose their luster. I'm looking for some guidance to polish them and return them to a mirrored state. I heard using an ultra sonic cleaner is the best way. Any advice is appreciated. Throw them away, buy new ones. I put a coat of wax on them when I clean and wax the playfield, but if they start getting dull or damaged I throw them out and buy new ones. Bad pinballs will cause a lot of damage fast, especially rusty ones. Toss 'em and put in new ones. Once they start getting banged up and rusty, they will wear down the playfield. By the time you paid for your time (it's got to be worth something), the electricity, the media, and the Flitz polish, it would simply be cheaper to replace any dull balls. (and of course, any deeper scratches and nicks would not be touched by the Flitz). Novus 3 and a corn cob media in a tumbler. Takes regular balls and makes them oooo_shiny! However, since you asked, I buff them using a bench grinder with a cloth buffing wheel. I took a scrap of 2X4 and drilled a 1 1/4" diameter hole with a spade bit to about half the depth of a ball. Drop the ball in the hole and hold the wood up to the buffer. The wheel spins the ball and polishes it in a few seconds. If there are deep scratches, this method will not help. 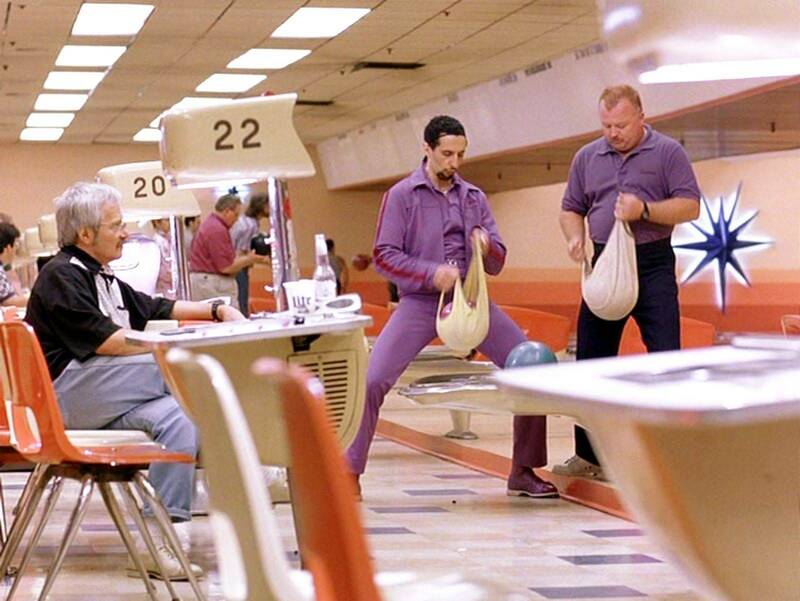 Terry at PBL has really nice balls. Just remember to wipe the oil off them before you handle them. I remember a thread on the RGP years ago started by a guy who had dozens of old pinballs and wanted to know what to do with them. The answers were pretty much like the above so he reposted that he had chucked them all in the trash. THAT brought a huge response, "No, don't throw them away! Bad karma! Bad juju!" was the common reply. In essence, you can't use 'em, but you can't throw them away. There was so much heat that the guy posted again that he had gone back out to the trash can, dug them out and brought them back inside. At least that's as clear as I can remember it. I usually toss all my useless/broken metal parts, legs, and coils in a box, and make a trip to the scrap yard every once in a while. At the very least, they get recycled instead of ending up in a landfill. I vote for new balls too. I just placed an order at 3 am with PBL for a dozen shiny balls. Oh yeah...guess what? I also finally bought a shaker for my Luci!!!!! $99 on sale!!!! Unreal deal!!! 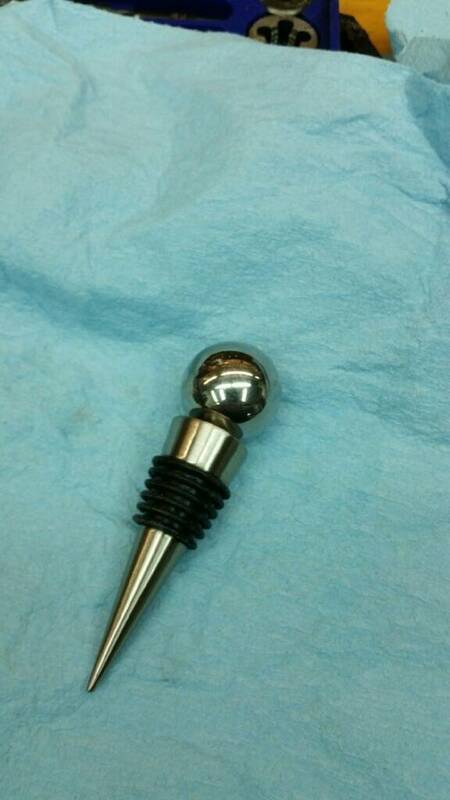 We turn all our used pinballs into wine/bottle stoppers! Ultrasonic will not touch pinball scratch damage. Ultrasonics are good for for removing filth, but they will not "polish" scratches out things. I would agree with the above postings about not bothering if you are not set-up for tumbling. You can probably get a good deal on bulk pinball purchase if you spent all of the money it would cost to get set-up to tumble. You can rotary tumble pinballs to a very high finish with corncob and your choice of polish. But deep scratches/dings will not come out. Since a large portion of my pins are EM's and early SS pins the balls don't get very beat up. They get as much damage from oxidation, so they will tumble up very nicely. I find pinballs from newer pins are almost always damaged beyond salvaging. Lots of ramps and metal parts for the balls to run into and get deep dings that are not worth the effort to get out (and the pinball may not be round/roll right by the time you got it smooth again). 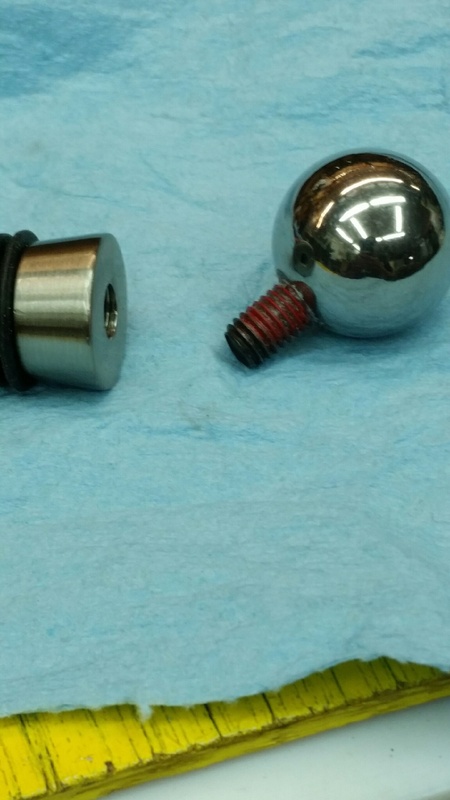 Have you tried the AXE ball washer? I would never use these balls in a game, but I saw where somebody posted that you could polish balls so they would look nice in a jar or whatever, by tumbling them with water, detergent and marbles. Anyone else ever heard of that, or I am I going nuts? While I can appreciate the "safety" aspect of all the advice to buy new balls (to get scratched balls out the game), I prefer to use glossy smooth polished balls, which no doubt cause even less wear than stock new balls. I achieve this by tossing my new and used balls into my brass ammunition tumbler with walnut shell media and Novus 3 for up to 3-5 days until they come out with a mirror-like finish. At this point it is easy to spot any remaining defects and put those balls aside for recycling. The rest are better than new. 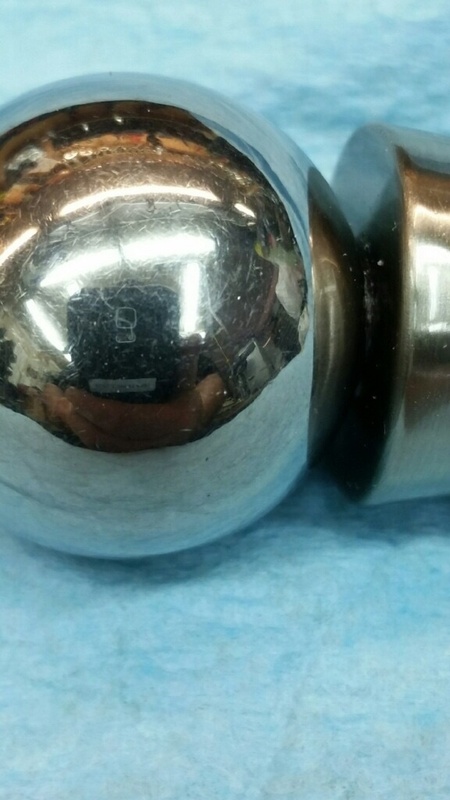 I've repolished used balls more than once with success. It's more cost-effective for me to do this since shipping balls to Canada is always crazy $, plus it is satisfying to always have nice shiny balls to play with.